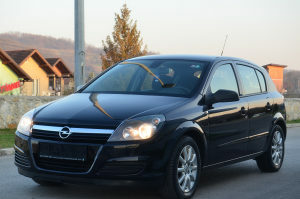 [PRODANO] OPEL ASTRA H 1.7 CDTI MODEL 2005 - TEK UVEZEN !!! TEK UVEŽEN - UVOZ NJEMAČKA !, SA 162905 PREĐENIH KM! POTROŠNJA 5 L /100 KM! MOŽE PROVJERA U SERVISU PO ŽELJI KUPCA, MOŽE I U OVLAŠTENI OPEL SERVIS NA PREGLED!! !